Sunday, the 15th of January 2017 is at this point the most anticipated day for English football faithfuls i.e. for those old enough to really understand the term ‘football rivalry’. Unlike local derbies that is merely a fight for the most successful team in the city, this match sees the two most successful clubs in England and in Europe go toe to toe in one of the best forms they have concurrently had in many years. The rivalry of Manchester United and Liverpool is one that dates as far back as 120 years, with both teams boasting the most league titles. United has been the more successful team in this rivalry winning 28 of the 52 games both teams have played in the league, drawing 10 and leaving Liverpool to scrap for just 14. Don’t be fooled though, history is in the books but the pen is never too far to start recording a new one. Ever since the arrival of Jurgen Klopp last season he has strategically rebuilt Liverpool, changing their game philosophy and giving them an identity similar to his former Dortmund team, Liverpool FC is now known for their quick unending waves of attack. Jose Mourinho has also done a great job with Manchester United, successfully breaking away the rigid game approach United has adopted the past few years, raising the performance standard and infusing a level of confidence and respect, depending on whether you’re a fan or opposition; all of this under a season. No more is United the laughing stock of the league, even at (a nearly perpetual) 6th position. 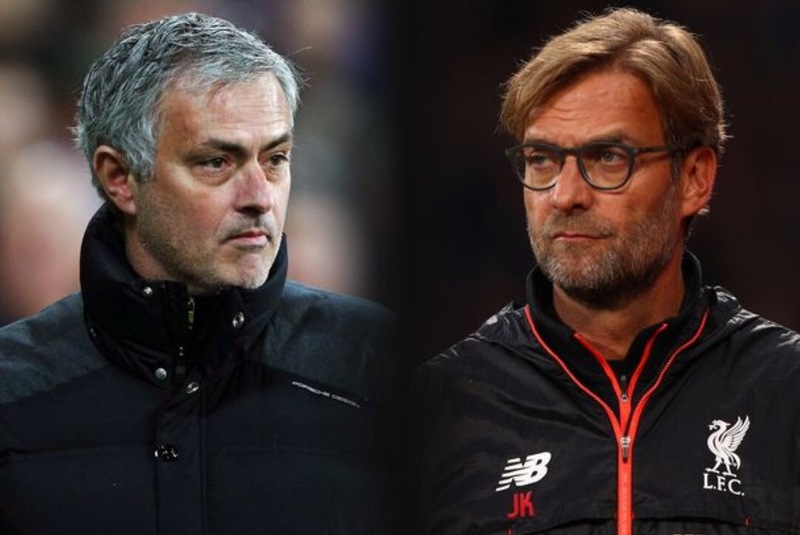 Jose and Klopp’s teams have a similar approach to the game at the moment; both teams play with an unending wave of attacks making use of penetrative runners and pestering box lurkers, a combination that is as vexing to defenders as having a mosquito bite your big toe (and that right there is a very annoying itch). This would mean this game should be as exciting as any rivalry match goes, with both teams attacking each other continuously till one person succumbs. United boasts a vast array of attackers as do Liverpool, this excludes Sadio Mane who will be representing Senegal at the AFCON which would have made Liverpool the team at a slight disadvantage if not for the return of their Brazilian magician, Philipe Coutinho. His absence due to injury saw Liverpool struggle for a bit. His return could not have been at a better time especially for his fellow Brazilian, Roberto Firmino; both players have created the most chances and goals between a duo in the team. 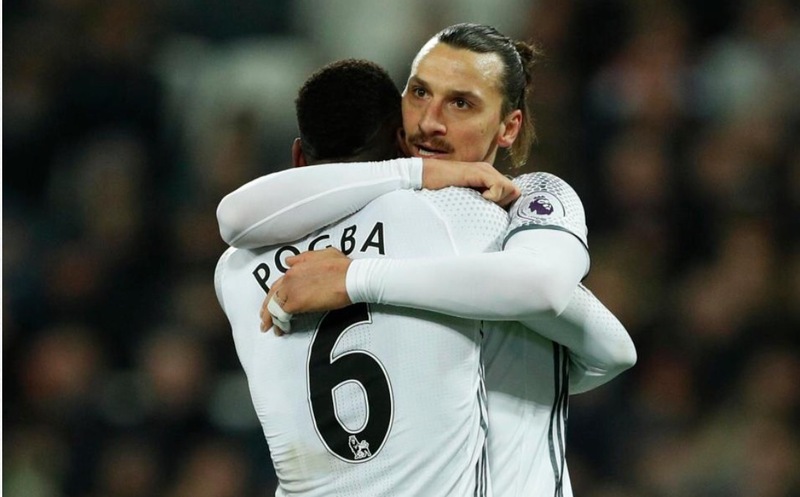 Manchester United on the other hand have Zlatan back from his illness ready to feed on Pogba’s passes with Martial, Lingard, Mkhitaryan, Mata, Marcus Rashford and Wayne Rooney fighting to be on either side of the Swede. This brings us to a common weakness..
Well if you’ve followed my reviews so far, you’ll know the one thing about Manchester United that has left me nervy this season remains the defence. With Eric Bailly away for the AFCON and Marcus Rojo missing the last match due to a thigh injury, United have to settle for a makeshift combination of Chris Smalling and Phil Jones. Not that they’re not good, as a matter of fact the somewhat dependable combo of Jones and Rojo was just what I called this; makeshift. Both players are fully capable of holding their own against strong defenders, add to that Smalling being one of United’s fastest players (add a pinch of salt to that) and Jone’s knack for kamikaze defending we might be able to hold our own. But look at our left back position, with Lallana’s pace and trickery Darmian is a NO for me and Blind’s intelligence will be stretched to the limit. Best bet would be Rojo or the out of favour Luke Shaw. Liverpool’s defence has been less as reliable as United’s, especially if you pull the goalkeepers into the equation. Mignolet is not that bad a keeper, but for a top team the young Belgian would need to improve really fast. This is why Liverpool tends to depend on outscoring opponents who dare to attack them and risk devastating counter attacks, else most teams are very cautious to not stretch out their teams to Liverpools advantage. Matip and Lovren’s combination has been a revelation and stand out performer for the Merseyside team and they can only hope they’re up to the task of Ibrahimovic. Clyne on the other hand will help Lallana pester whoever plays LB for United, I should also point out that Coutinho would most likely give Valencia a lot of work to do on the right side since he is more interested in cutting infield and taking shots… I can only hope United never give the lad enough space. United come on top of this. However expect Liverpool to constantly disturb United’s midfield flow and turntables as quickly as Nigerians did on Mr Eazi. United play a similar game but would try to use the midfield to shore the game when it is getting too heated, which it will. Players like Wijnaldum and Paul Pogba are the sort of midfielders that cause further trouble to defences with how much they hang around the box, both in and out, and their ability to create and take chances. With the confidence in the United team from recent victories (9 in all competitions) and Liverpool’s disappointments in the past 3 games they should have killed (2 draws and 1 loss), United will come in as the more confident team in this clash. If Liverpool cannot nick an early goal expect United to win this one, which we will. DeGea; Valencia, Smalling, Jones, Rojo; Carrick, Ander Herrera, Pogba; Mata, Mkhitaryan, Ibrahimovic. Here’s hoping my match review of this game is more gleeful than the most recent ones I’ve written. Till then..